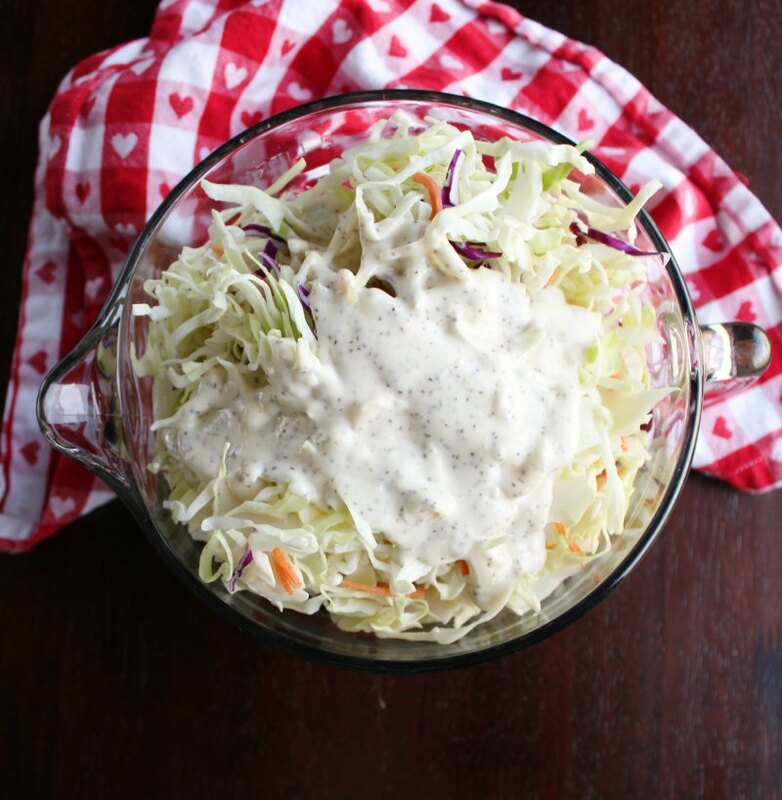 This creamy coleslaw is a classic summertime staple. It is quick to make and good with burgers, BBQ and more! There is just something about a delicious creamy coleslaw. It is easy to make and best made ahead and it goes so wonderfully with fried chicken, BBQ and more. It is a favorite summer side dish. 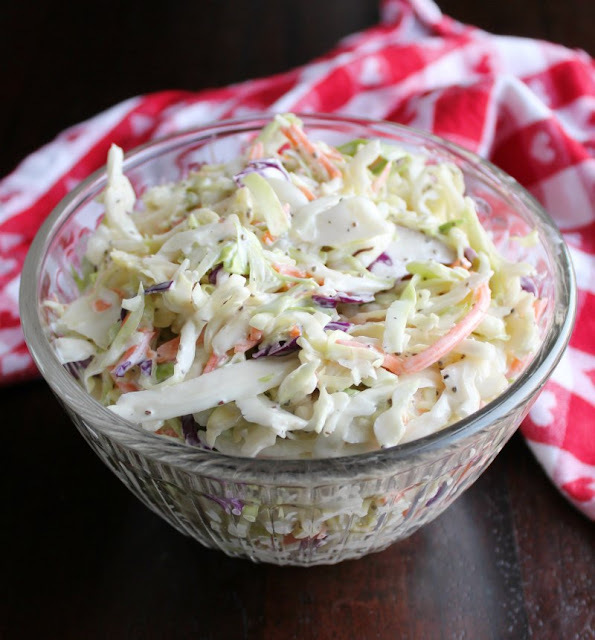 Our family has been enjoying this coleslaw for years. The original recipe is from The Better Homes and Gardens red and white checked cookbook that Pops and I received as a wedding gift 34 years ago. I changed it just a little to suit our tastes. So many of the meals I grew up eating came from my mom's red and white checked cookbook that she got as a wedding gift. My daughters all have one too. I have gifted many brides with their own copies. Hopefully they will use theirs as references for years too! Every time I make coleslaw, I am amazed by the process. When you first pour the dressing on and give it a stir, it never seems like it is going to be enough. But over time in the refrigerator, the salt and vinegar work their magic. The cabbage softens up and everything comes together in the end. That is one of the fabulous parts about this salad. Unlike most salads, you don't have to put it together at the last minute. In fact it is best when you do it a couple of hours ahead of time and let it sit in the refrigerator. Just give it a quick toss when you are ready to eat and you are ready to go. Now worries about wilted lettuce! 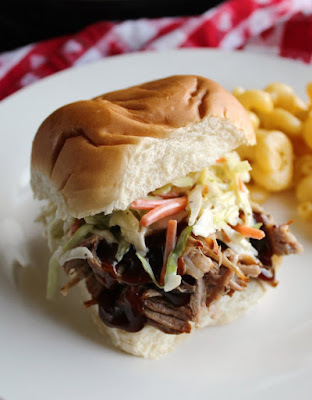 We love eating ours as a side to so many dishes, but we also love it as a topping on our pulled pork sandwiches! It is also a must at a fish fry! 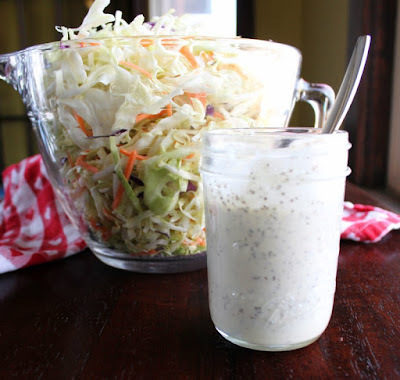 Combine the mayonnaise, vinegar, sugar, celery seed, salt and pepper and whisk together. I put these ingredients in a pint sized canning jar with lid and just shake it up. Then I can store it in the refrigerator until ready to stir into the cabbage mixture. Sine the slaw releases water after the dressing is added, you might want to wait until about an hour before you plan to serve it to combine the two. This stored in the refrigerator. She is pretty much a master! Thanks, Andrea! Yum! I love cole slaw! Spring is the perfect time to make it! Thanks for the recipe! Me too! I think you have to have some creamy coleslaw if you want to have fried chicken, pulled pork of a fish fry! Best book ever! And, can't wait to make this for a lot of things... to put on chili dogs, is really what I'm craving! Bookmarking and pinning to make real soon! 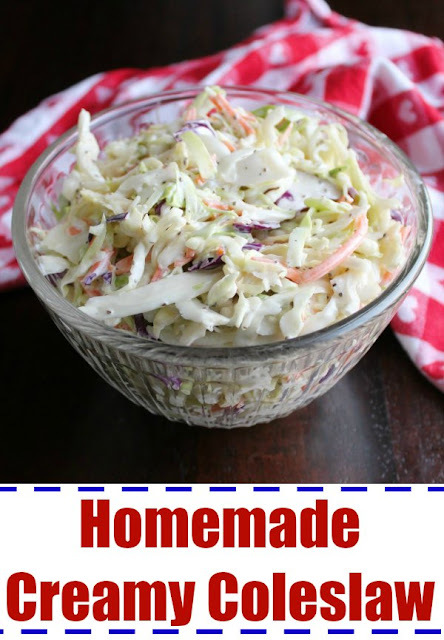 I love cole slaw, I'll definitely be trying this recipe for sure! This recipe sounds great. The perfect balance of flavors! Hi Carlee, I too love a good coleslaw and I see that this does not have too much mayo in it. It doesn't seem like it will be enough dressing when you first mix it in, but as the cabbage softens it really ends up being the perfect amount! What a sweet gift to give a new bride. LOVE cookbooks! 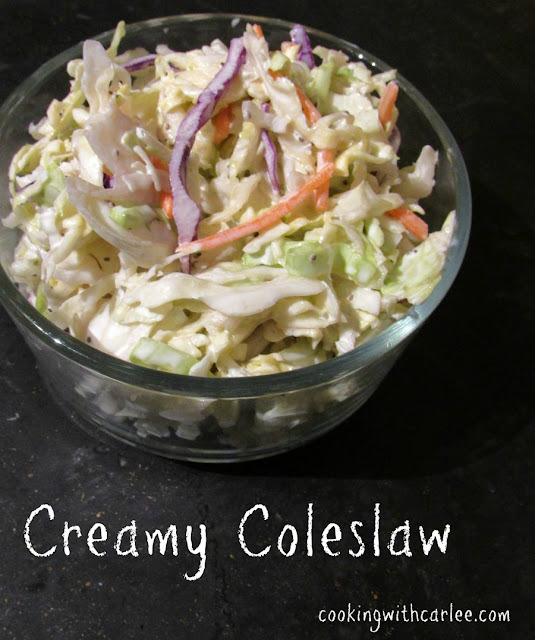 This coleslaw sounds amazing! I don't really have a good coleslaw recipe. I'm totally tucking this recipe away for safe keeping! My mom actually just read that I wish I had her version instead of my new version, so she found one that was the exact same release as hers and gave it to me. I can't wait to go through it!